Do you hate false lashes? I once did. After trying them a few times, I decided they just weren't for me. They made my small eyes look droopy and tired, and I just couldn't crack the code of how to apply them correctly. Eventually, I figured it out and I'm here to help you see their potential, too. If you're stumped when it comes to false lashes, here are the best false lashes for your eye shape. False lashes can be a beauty game-changer, or a nightmare, depending on what you pick. Like anything else in the beauty world, you have to pick what works best for you personally: your skin tone, face shape, and yes, eye shape. False lashes can enhance your natural shape or totally overpower it, depending on the kind you choose. 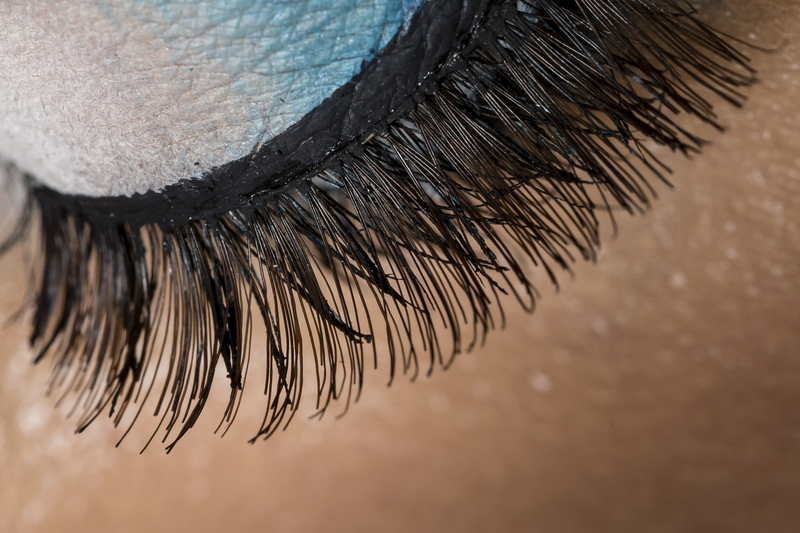 When applying falsies, it's best to trim the lash to fit your eyes instead of just ripping them out of the box and popping them onto your eyelid. Measure the lash against your eye and trim the excess. This will help the lash look more natural and your eyes more awake instead of tired or droopy. It's also important to let your lash glue get a bit tacky on the lash line before applying the false to your skin. If the glue isn't dry enough, it will slip and slide all over your eye, making it near impossible to apply. Now that you know how to put them on, let's move on to the next challenge: figuring out which ones you should wear! Here are the best false lashes for your eye shape. Lucky you — almond eyes is the most universal of all the eye shapes. It all looks great on you! Take advantage of your catlike stare by applying individual lashes at the far corner of your eyelids, or go for super fluffy full lashes. A mix of long and short strands help frame your eyes. This pair will give the longest lashes right above your pupil, which is ideal for this eye shape. Round eyes should stay away from super thick lashes, since they can make your large eyes look smaller. Instead, opt for long and dramatic lashes that fan upwards. Mono lids, or lids without a cut crease, are versatile. You can create a crease with any lashes, but full, criss-cross types look voluminous. Extra long lashes bring the lashes away from the face.